Climbing wall meets theme park! Clip ’n Climb has arrived and is conveniently located at the same site as LEAP Dunedin! 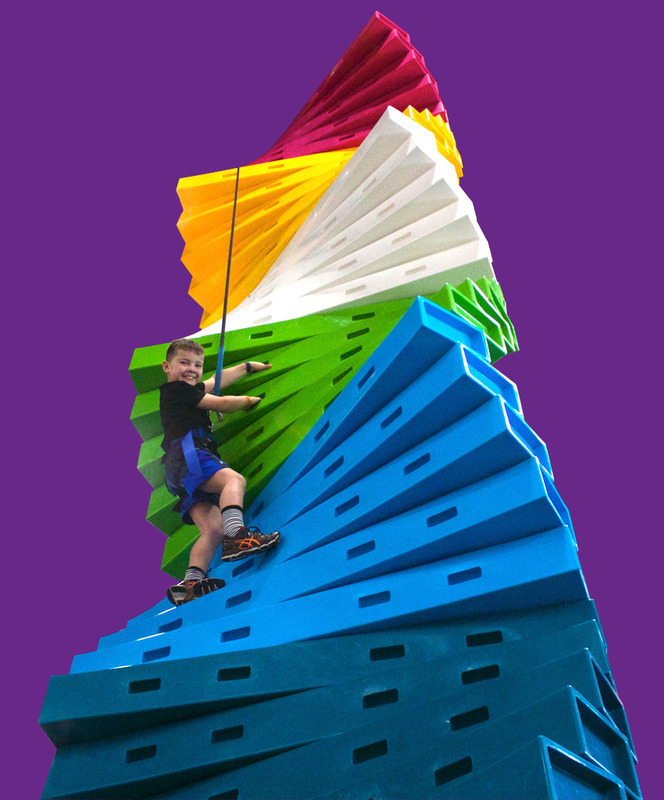 This is an exciting, indoor adventure activity for all ages and climbing abilities. Whether you are a preschooler or enjoying retirement, whether you have climbing experience or not, our automatic belay system takes in the slack as you climb up and then lowers you gently to the ground as you descend. Clip ’n Climb is indoor climbing at its safest! Clip ’n Climb is very popular with families, friends, schools, birthday parties, sports teams, work events and corporate team building. Book your session now or find out hours/pricing. Run, Hop and Jump at LEAP Dunedin! 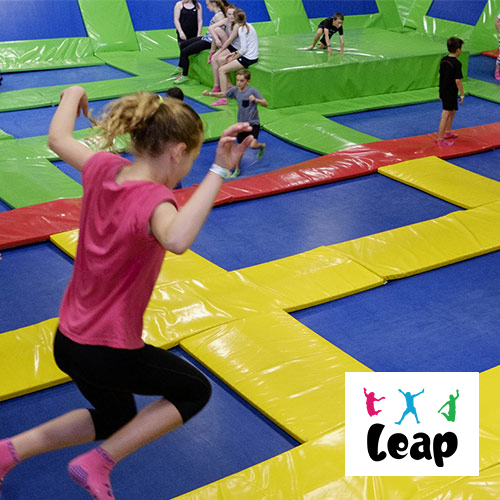 Clip ‘n Climb shares its location with LEAP Dunedin that has over 54 trampolines including a separate dodgeball court, stunt bags and basketball hoops, you will literally be bouncing off the walls. Dive, twist, flip and somersault on the freestyle open Leap area, practice your ‘leap style’ slam dunking or take a running leap into stunt bags and become an expert in flips! No matter what you do it is an awesome place for all ages to have fun and expend energy. A full safety briefing is given prior to the session and then it’s a whole hour of fun! Book your session or find out more by calling 03 455 0095.